Far from sweeping the globe uniformly, the 'third wave of democratization' left burgeoning republics and resilient dictatorships in its wake. 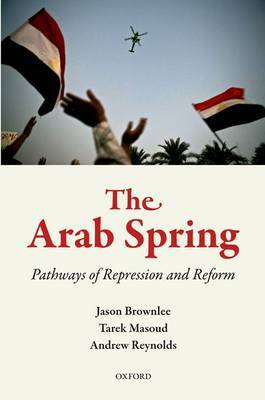 Applying more than a year of original fieldwork in Egypt, Iran, Malaysia, and the Philippines, in this book Jason Brownlee shows that the mixed record of recent democratization is best deciphered through a historical and institutional approach to authoritarian rule. Exposing the internal organizations that structure elite conflict, Brownlee demonstrates why the critical soft-liners needed for democratic transitions have been dormant in Egypt and Malaysia but outspoken in Iran and the Philippines. By establishing how ruling parties originated and why they impede change, Brownlee illuminates the problem of contemporary authoritarianism and informs the promotion of durable democracy. 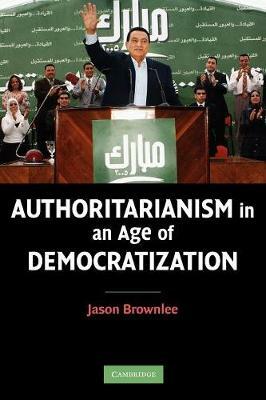 Buy Authoritarianism in an Age of Democratization by Jason Brownlee from Australia's Online Independent Bookstore, Boomerang Books. 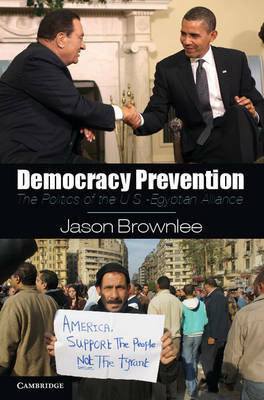 Jason Brownlee is Assistant Professor of Government at the University of Texas at Austin. Prior to arriving at the University of Texas, he was a post-doctoral Fellow at Stanford University's Center on Democracy, Development, and the Rule of Law. Professor Brownlee's research addresses domestic and international processes of democratization. His work has appeared in Comparative Politics, Studies in Comparative International Development, and the Journal of Democracy.